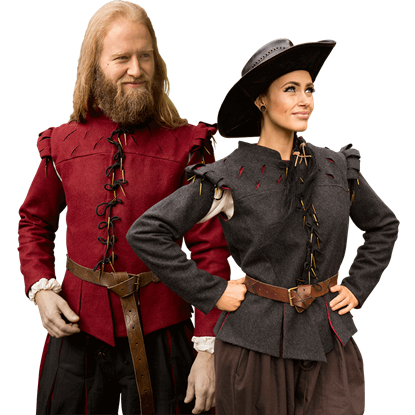 Ideal additions to any LARP or reenactment wardrobes, LARP Distribution offers a variety of medieval doublets and jackets ranging in style and historical inspiration. Many of our historical doublets and jackets make great outerwear pieces for protecting against cold weather chills. They all add different style to various looks, and they range from historical basics to clothing items fit for nobility. Renaissance doublets can create a princely appearance, while many of our medieval jackets are great for all character types. 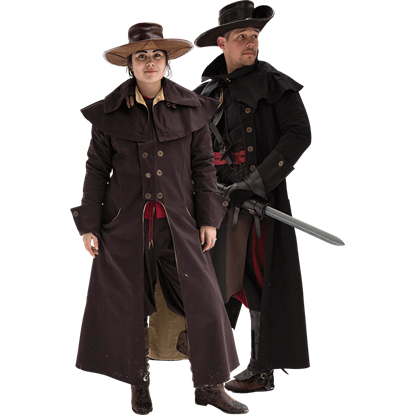 Shop LARP Distribution for all our wholesale jackets and doublets for live action roleplay, medieval reenactment, theatrical performance, Renaissance fairs, and more. The Godfrey Pourpoint is a high-quality, form-fitting coat that will enable you to look your best in medieval style, while also allowing you to wear armour without having to don a special arming jacket! Use it to up your LARPing game!